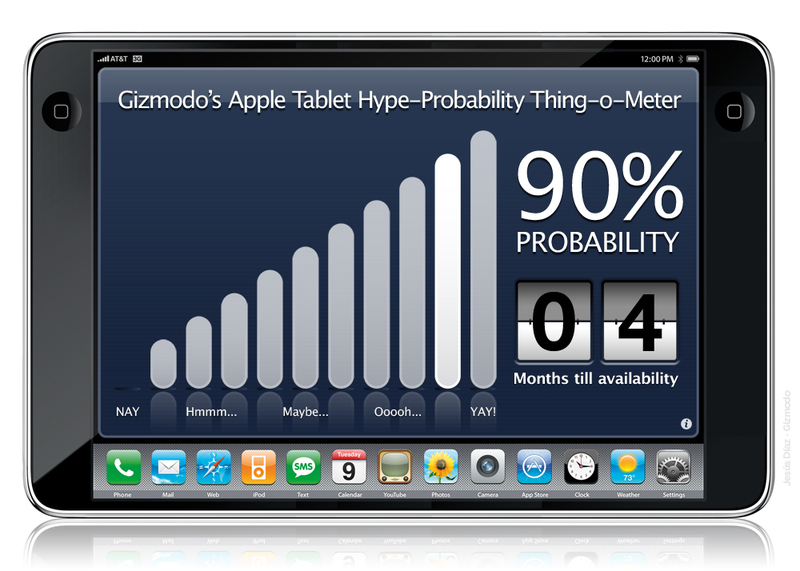 After last Sunday's rumour on the Apple Tablet's September announcement, and yesterday's evidence of two new Apple products in the iPhone OS 3.1 USB devices list, we have decided to elevate the level inour Apple Tablet Probability Meter to 90%. The launch date remains the same: September launch, November release. Or so we hope. Like always, remember this is just our bet based on the evidence and rumours at hand.